Many thanks to Zach Baldwin for this lovely photograph. The warm reds and browns of an autumn day. 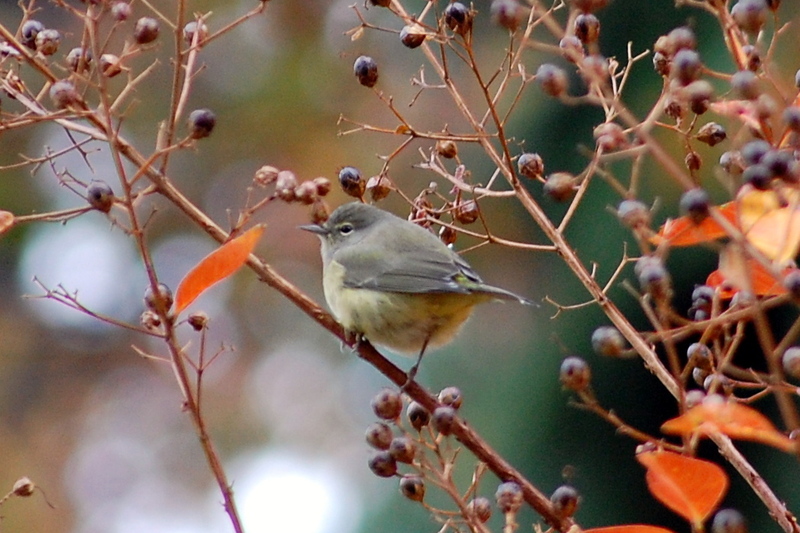 The sharp narrow beak on this bird probably isn’t good for eating these big berries–I suppose the bird (a warbler?) was taking shelter here.